MEL Science, based in London, has launched a series of virtual reality (VR) chemistry lessons for K–12. 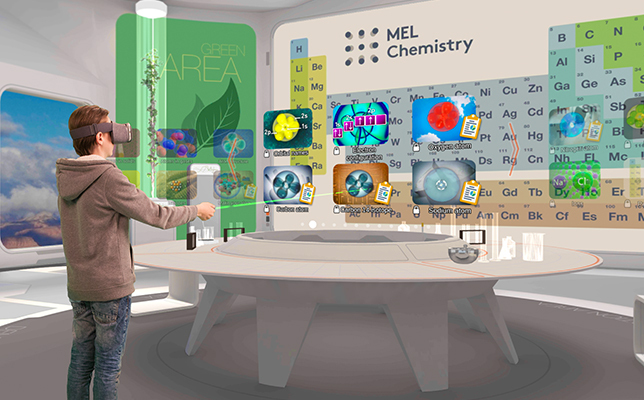 The 3-year-old company this week released a MEL Chemistry VR app, featuring a virtual chemistry lab, for free on Google Daydream. This free version, which contains the first six chemistry lessons, is available at this MEL Science site. According to MEL Science, chemistry is filled with abstract concepts that may prove difficult for young students to understand. 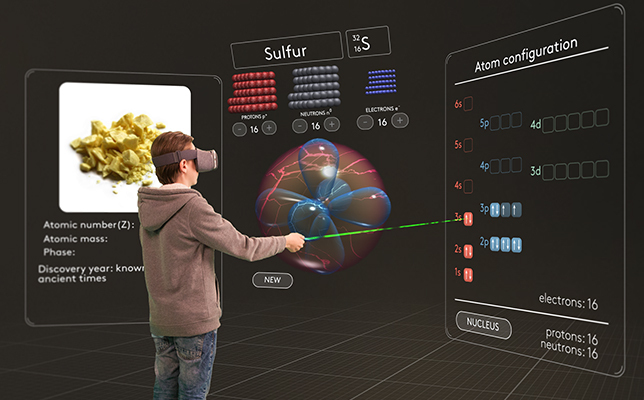 The best method for kids to learn is through hands-on interaction, so MEL Science developed these VR chemistry lessons to enliven molecular-level science and illustrate it on an immersive, life-sized level. The lessons follow K–12 curricular guidelines, and are designed to be used in the classroom or at home. A special version for educators will be released soon, the company said. In these first six lessons, students should be able to see what it’s like to dive into a pencil (graphite) or a diamond and discover what these objects look like on an atomic level. Students will also get the opportunity to build an atom of any known element with their hands and/or a guiding tool. Anything that appears on the modern periodic table should be available to build, said Vassili Philippov, CEO of MEL Science. MEL Science aims to release more than 150 lessons covering all the main topics included in K–12 schools’ chemistry curriculum. Later this year, MEL Science also aims to add support for other VR platforms, including Google Cardboard and Samsung Gear VR. MEL Science is known for its subscription service, offering educational science sets through the mail. Through this service, parent subscribers get two new chemistry sets every month, allowing them to perform engaging educational experiments at home with their children. More information on MEL Chemistry VR can be found at the company’s site.